Nothing makes Sarah more proud than to see her clients’ stories shine in the community. Whether it is a lead story in the media, a social media post that has enormous reach, or an event that exceeds expectations, Sarah strives to tell meaningful and relevant stories about Emspace + Lovgren clients. 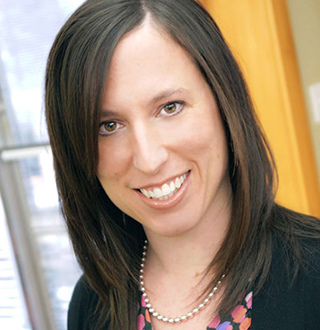 Sarah brings more than 14 years of experience to the Emspace + Lovgren public relations team, leading her clients to award-winning public relations and communications strategies. Besides seeing her clients in the news, other things that make Sarah happy include miniature dachshunds, Mizzou Tigers, good food, shopping and her three very special kids: Jenna, Sami and Nolan.